I have been working hard this week in my studio creating new necklaces. The next several months will be very busy and my inventory was getting scarily low. Which on one hand is a good thing as it means I have been buys selling what I had! When I need to really be productive I tend to work with similar stones and beads in the same color family. This week I began with agates and grey, blue and green beads. Then I moved on to Owyhee jasper. After that will be more Owyhee jasper, but in greens and copper. Owyhee jasper and crazy agate. All have SOLD. 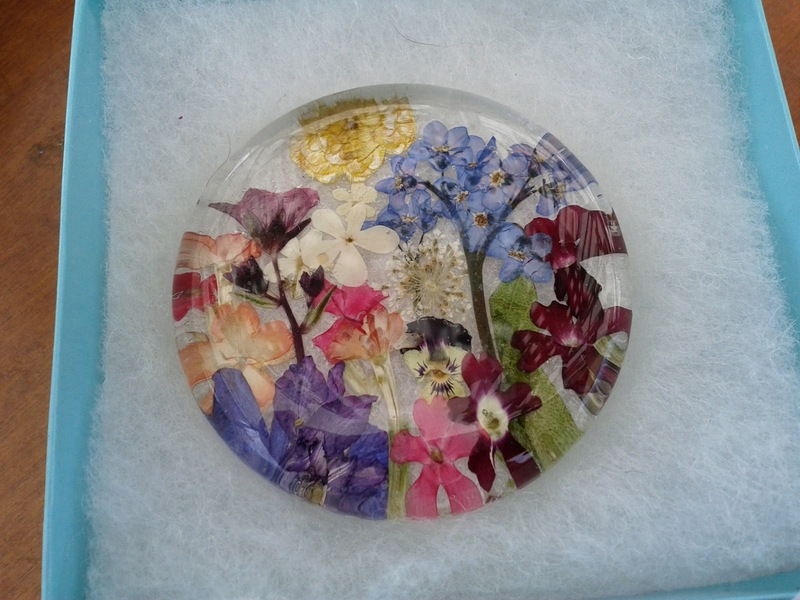 Real flowers under glass - Botanical Creations are the work of Kathryn Sherwood. The flowers come from her beautiful garden overlooking the water in Olalla Washington. 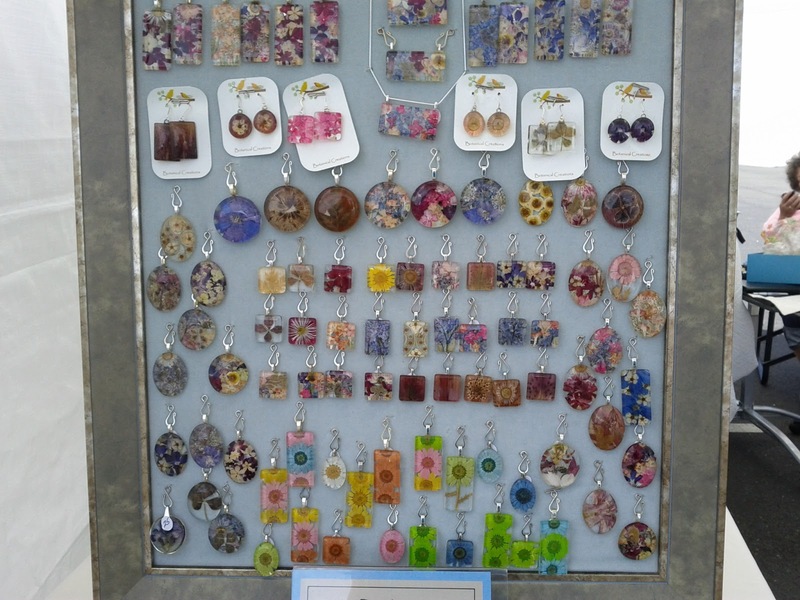 Necklaces, bracelets, earrings, wine stoppers, hair clips, and drawer pulls. 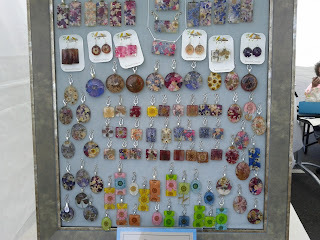 You can see Kathryn's work in person this weekend at the Gig Harbor Garden Tour. Yesterday I sent off a new order to Valley Nursery in Poulsbo. You will soon be able to find these items in their gift shop. They will have a myriad of colors in this fun earring style. Red Dragon Blood Jasper pendant. I just love the name of this stone. The colors on this picture are way off - this is actually a dark brick red with a coppery red. You will have to pop in the store to see how pretty it really is. Jasper, matte and shiny black glass seed beads and pewter accents. Agate with sterling tubes and dark purple glass seed beads. Those yummy colors of seed beads I purchased at Echo Artworks became beautiful Owyhee jasper necklaces.This stone is found in northeastern Oregon. It assists with the healing of animals, dissipates energy blockages and promotes connections to your senses. It helps keep the wearer grounded and reduces stress. It is also said to protect travelers. I really like the matte hex beads in the left on. Unfortunately I still have not had time to learn my new camera so the colors are a bit off. Copper is a nice accent with these ocean blues. SOLD. This stone was a challenge. I was having a hard time finding just the right combination to set it off. I am happy with the final result. I love the colors. This photo does not do it justice. I think this one will inspire a series! SOLD. 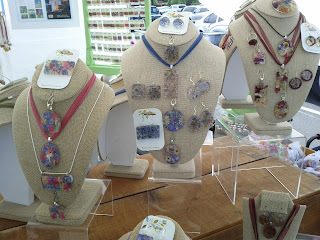 These stones are popular with tourists in my booth at the waterfront because it is a local stone. If you see one you like act fast as I do not expect these to be around very long. Look at these yummy new seed beads colors I picked up at Echo Artworks bead shop in Bremerton this week. Echo Artworks is a tiny little shop at 626 Callow Ave that is jam packed with fun things. Look for the sign and banner out on the sidewalk down towards the Safeway. Give yourself plenty of time to pour over the drawers of fun tidbits! 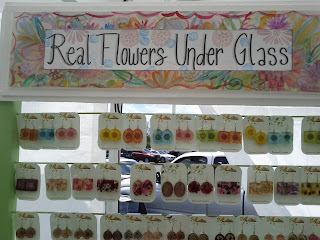 With my summer show season in full swing it is time to reinstate this fun series of posts. This is literally the view out my tent at a show and introduces you to other artisans. 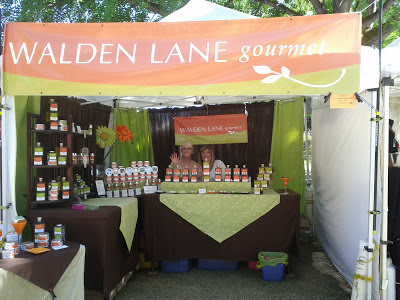 Walden Lane Gourmet, http://www.waldenlanegourmet.com, brings you extraordinary blends of vinegars and oils. On my counter right now is their fig citrus balsamic vinegar. It is incredible!! I purchased their dark chocolate and a blackberry vinegar for friends and they raved about them. One friend said it was so good it was addictive! Visit their website to learn more about Jill and Ardell's products and how their business got started. 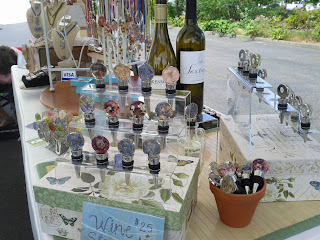 You can find them this weekend at the Edmonds Art Show and through out the summer at the Everett Farmers Market. 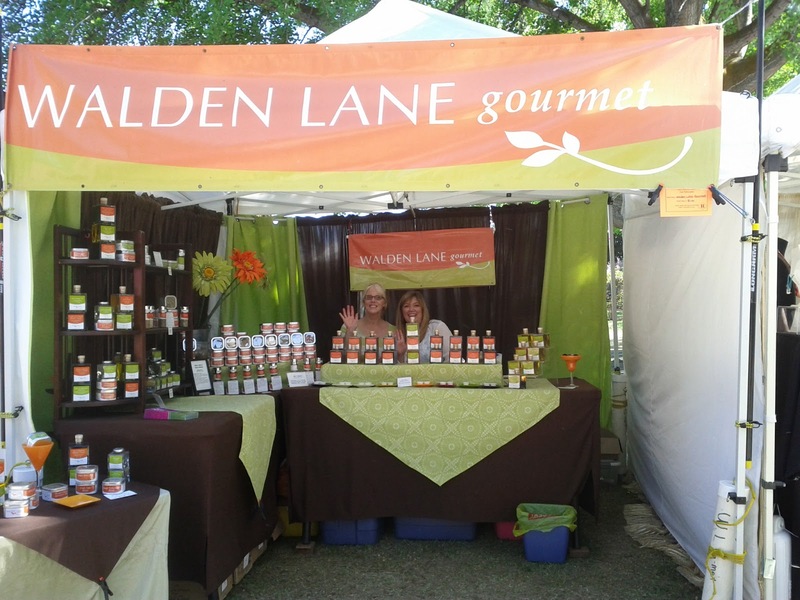 Check out Walden Lane Gourmet's events page for more opportunities to sample their wares in person. I have a new camera and I have not had time yet to play with the white balance settings so the colors are a bit off in these photos. I am hoping once I have the settings figured out my pictures will be much improved. These are some of the pieces I have created in the last two weeks. A few have already sold. The purple one sold less than a day after it was made and after only an hour in my booth! Magic jasper with a amethyst crystal dangle, sterling tubes and dark purple glass beads. I will be making more of these. Update - these stones are now all gone. Sodalite, a crystal dangle, pewter and glass seed beads. This one also sold its first day out. Picture jasper - such a beautiful stone. Mixed with agates and matte amber glass seed beads. SOLD. One more picture jasper with a mix of coppery and brown glass seed beads.